After an 11-day trial with 18 witnesses and over 150 exhibits, Sacramento Superior Court Judge Tim Frawley issued a proposed Statement of Decision in Gonzalez v. Johnson (Superior Court of California, County of Sacramento, Case No. 34-2013-80001489, July 24, 2015) finding that “plaintiffs have failed to meet their burden of proof on any of their causes of action” and awarded the recovery of defense costs. The case focused on claims of a “secret subsidy” relating to a public-private partnership agreement between the City of Sacramento and the owners of the Sacramento Kings NBA team for the financing, construction, operation and use of a new multi-purpose entertainment and sports arena that will serve as the home of the Kings. Gonzalez v. Johnson was a bet-the-future trial that determined the fate of the already-under construction $477 million downtown arena, arguably the most transformational economic development effort underway in the greater Sacramento region. Pending all parties’ opportunity to serve and file objections within 15 days, and a potential appeal, the $477 million arena project faces no other legal challenges and can now move forward. Principal Brenda Aguilar-Guerrero was a lead attorney on the Meyers Nave litigation team that handled the Gonzalez v. Johnson trial. The July 24 ruling capped Meyers Nave’s unbeaten winning streak of defeating all legal challenges against the arena, including two published appellate decisions denying a CEQA-based challenge to the project itself and a constitutional challenge to the special statute passed to streamline the City’s CEQA review of the proposed arena, and an eminent domain victory giving the City permission to take over the final piece of downtown property. 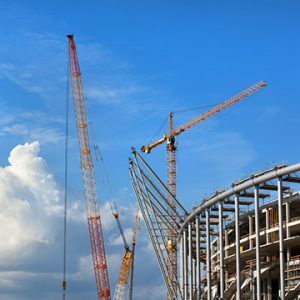 The myriad of challenges raised in Gonzalez v. Johnson helped to establish a roadmap for all parties involved in similar controversies throughout California regarding proposed arena projects associated with the retention or relocation of professional sports teams. The case also addressed unadjudicated law as plaintiffs’ reverse validation claim challenged the City’s finding that there are “significant public benefits” from issuing bonds under the Marks-Roos Local Bond Pooling Act of 1985. Prior to Gonzalez v. Johnson, there were no legal precedents guiding cities in their issuance of bonds under the Act so this case provides some much-needed guidance in this murky area of law. For more information about Gonzalez v. Johnson and the implications of the judge’s decision, please contact Principal Brenda Aguilar-Guerrero.